When a prospective customer is looking for a new product or service, the first place they check is Google. That’s why search engine optimization (SEO) is so important to running any business with an online component. A user enters a query. Google sorts through its options, finds the nearest match to what it thinks users want and delivers them on the search engine results page (SERP). Any ads are displayed first. After that, the “organic” results are displayed. 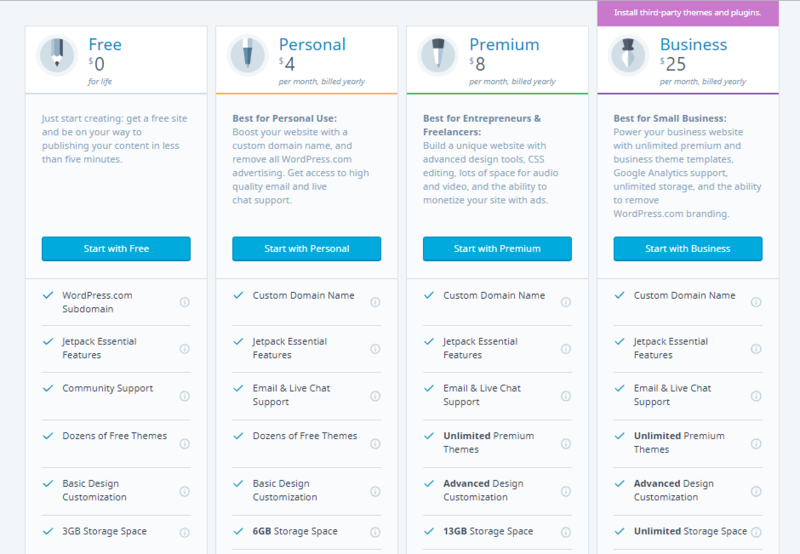 If your page doesn’t land in the first five organic options, you lose 67.70% of users. Which means the stronger your SEO is, the better your chances of winning those coveted first five positions and getting users to your products. In this guide, we’ll walk through some best practices and time-tested tips to help you juice SEO and get higher traffic. Writing blog posts is one of the most effective ways to build SEO juice for your brand. This is true for one stupidly, simple reason: blog posts are composed of words. The more relevant, useful words you have around different topics, the more fodder you’re giving Google’s algorithm to index. According to one study, simply having a blog increases your visibility to search engines by a whopping 434%. The more visible your website is to Google, the more leads you expose your business to—and ultimately convert. Even though blogging is a proven driver of SEO, you can’t blindly post about just anything. You have to write posts deliberately around organic search. That’s because only 7% of potential visitors will scroll past the first page result from Google. 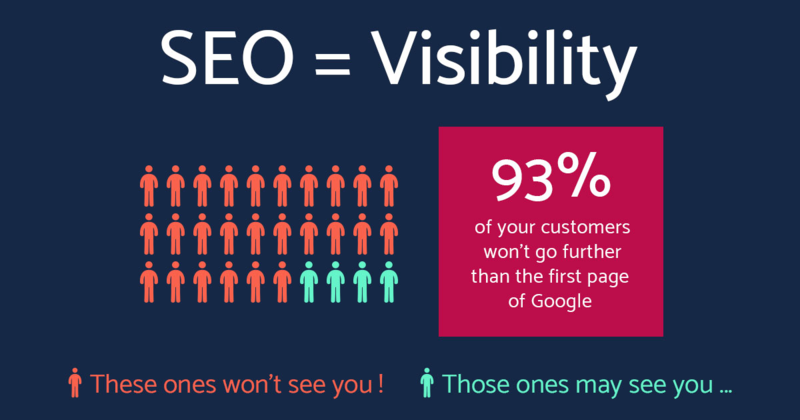 If you’re not carefully monitoring your SEO, you could lose as much as 93% of potential visitors simply because they never saw you in the first place. Your content will languish, unseen, on the second, third, or fourth pages. By taking the right approach to SEO, you can build more exposure for your business and set the gears in motion for sustainable organic search traffic—just follow these steps. 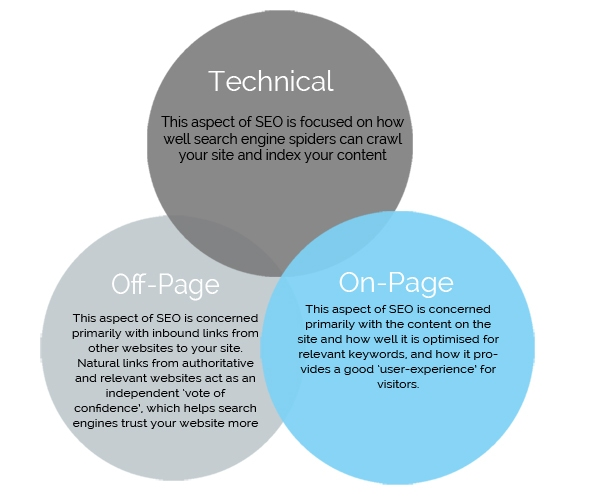 There are three aspects of SEO that you should be paying attention to. The technical side isn’t the most interesting, but it’s important to start with it. This covers a lot of low-hanging fruit that can give your website a much needed SEO boost. Has the search engine indexed your website structure? Is your website encrypted with HTTPS? Podia storefronts come with a free SSL certificate so it’s always secure, but many CMS require you to activate this manually. These questions play an important role in determining your site rank, and it’s pretty easy to enable them on your website. If you’re using one of the most popular website builders, such as WordPress, Squarespace, Joomla, or Wix, most of these issues will be taken care of automatically. Otherwise, we’ll walk you through some tools that will help you make sure your SEO issues are covered. Each helps give you some tips for fixing any issues, but you may want to consult a web developer for any significant changes. To start, head over to SEO SiteCheckUp. Once you sign-up for an account, all you have to do is navigate to the dashboard, click the “SEO Checkup” option, and enter your website’s URL. Wait a few minutes while the tool analyzes your website. The great thing about SEO SiteCheckUp is it’s incredibly user-friendly, and gives actionable tips for improving any issues that crop up. Areas that need to be addressed crop up in orange and red. Keep in mind that you’ll never get a perfect SEO score, as Google is constantly tweaking its algorithm for ranking pages. That can be as many as 200 changes per year. Cloudflare is a website tool that offers a free content delivery network (CDN), as well as Domain Name System (DNS) and distributed denial of service (DDoS) protection. If you’re worried about Google’s upcoming changes that penalize sites without HTTPS, Cloudflare has your back and will cover your website for free. You can install it in less than 10 minutes. PageSpeed Insights is a free tool from Google that helps you check how quickly your website loads across desktop and mobile. Simply enter your URL, and PageSpeed will analyze your website, showing you your page load speed as well as suggestions for improving it. Now that you have the boring, technical stuff covered, get started with keyword research to find opportunities for organic search. “Head-Term” keywords: These are one- or two-word keywords that have high search volume. For example, “inside sales” is a head-term keyword. 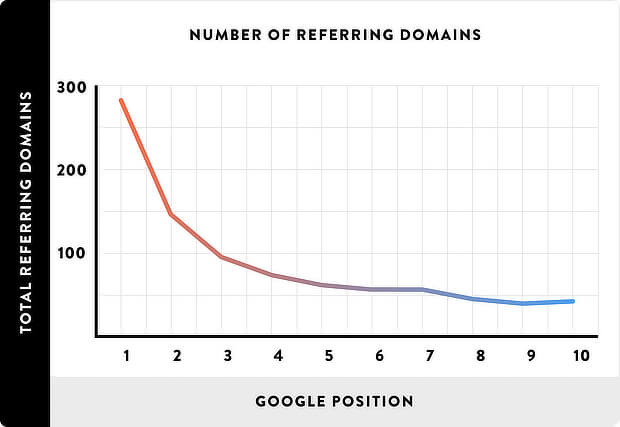 Head-term keywords are high-volume, which means they take a lot of time and money to beat. “Long-tail” keywords: These are keywords that are typically 4-7 words long, like “cold calling strategies for SDRs.” They’re typically keywords that lead visitors lower into your funnel. Instead, target “long-tail” keywords. Not only are they easier to rank for, but they also typically convert more traffic. Fortunately, it’s pretty easy to find good long-tail keywords to focus on—you can start by using Google. Once you begin typing in your search terms, Google starts to offer suggestions. These are great potential long-tail keywords—write them down! You can roughly gauge how easy or hard a term will be to rank for by searching it on Google. 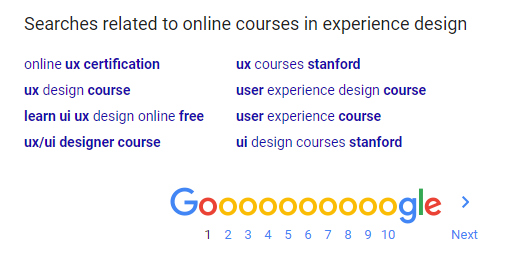 As you can see, “online courses in experience design” is much easier to rank for the “online courses.” Plus, users that have searched this term typically aren’t simply trying to find out about online courses. They’re looking for a specific type of online course. Scroll to the bottom of the page to find more potential keywords to target. As easy as that, you’ve found a bunch of promising long-tail keywords in less than five seconds flat. If you’re looking for more data around specific keywords, there’s a number of tools you can use for free. Take KWFinder. Simply register for an account, click on the “Go to KWFinder” button, and type in your term. KWFinder will spit out a bunch of options you can check out. Clicking on the “KD” option sorts keywords from high difficulty to low difficulty. 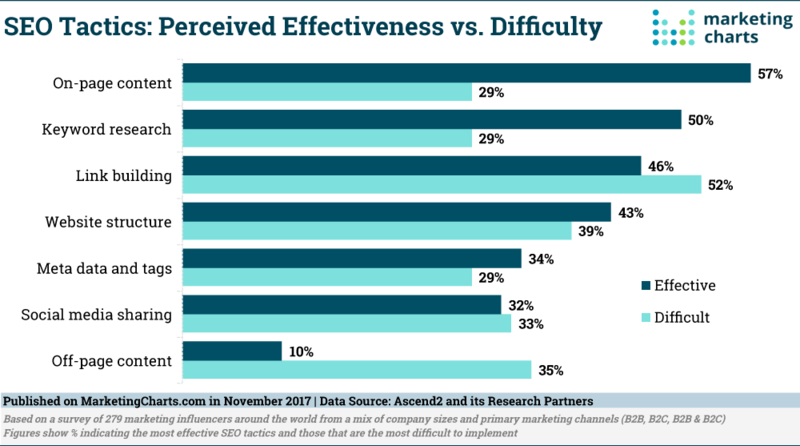 If you don’t already have a ton of content on your site, target low difficulty keywords that fall below a KD of 39. Once you’ve found a number of good options, you can start formulating blog post ideas around them. 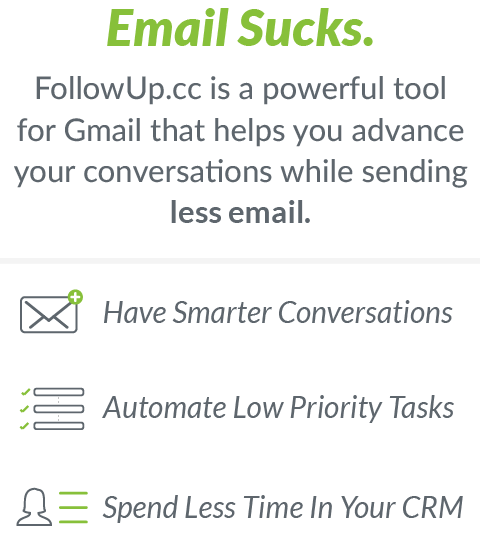 A good way to do this is to follow HubSpot’s “topic cluster model” that Hubspot coined—It’s pretty simple. Next, create a hub page for each topic. This gives readers a high-level overview of all the content on each topic on your website. Once you start writing posts around each topic, drill down into more specific categories within them. Then, update your hub page with links to each new post. Following this strategy means that you’re not boosting SEO for a single page. You’re boosting SEO for every other page that is linked to the main hub page—moving you higher in the search rankings. Once you’ve settled on a variety of keyword-focused content ideas, the next step is to actually plan them out in an editorial calendar. The first thing to figure out is how long those posts should be and how much time they’ll take. Remember that you should focus on quality over quantity. 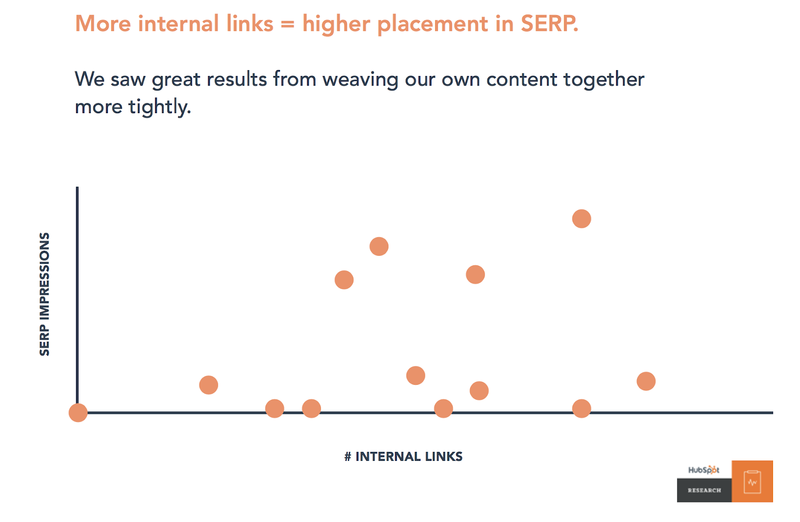 This advice is backed up by data—blog posts that are meatier and drill down more deeply into topics get 9x more leads compared to shorter posts. That doesn’t mean that you should focus on simply adding more words to your blog posts. 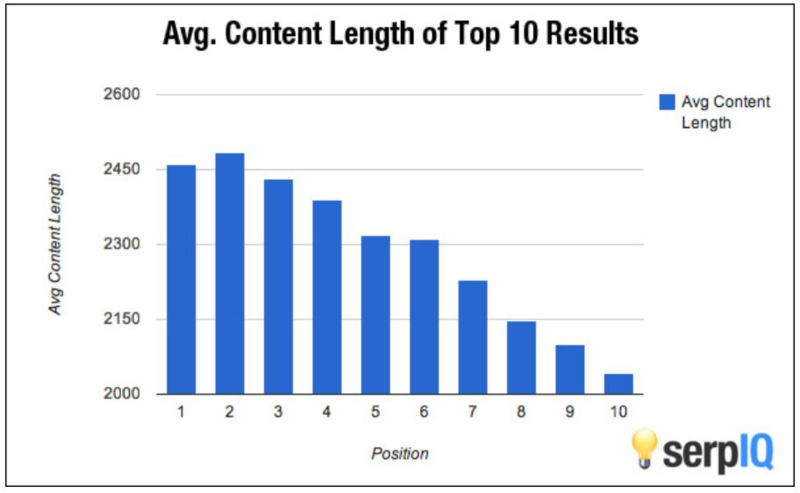 Longer posts perform better not simply because they’re longer, but because there’s a higher correlation to reader engagement. 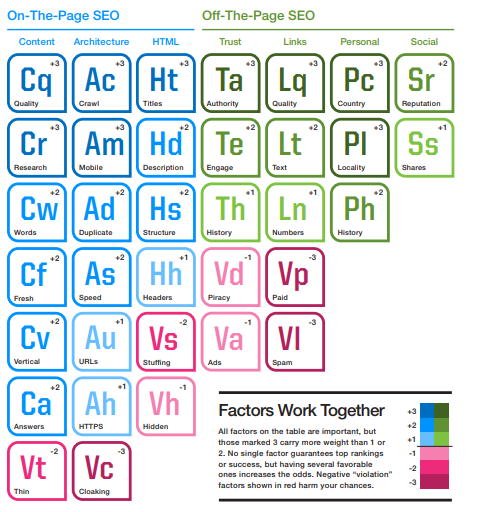 Check out the top factors Google looks at when it comes to ranking pages—how much time they spent reading a page, how many pages on your website visited, how much other websites are linking to your pages and more. You’ll notice that a lot of these factors have more to do with how useful your content is, rather than the actual keywords. Map out your editorial calendar with this in mind. 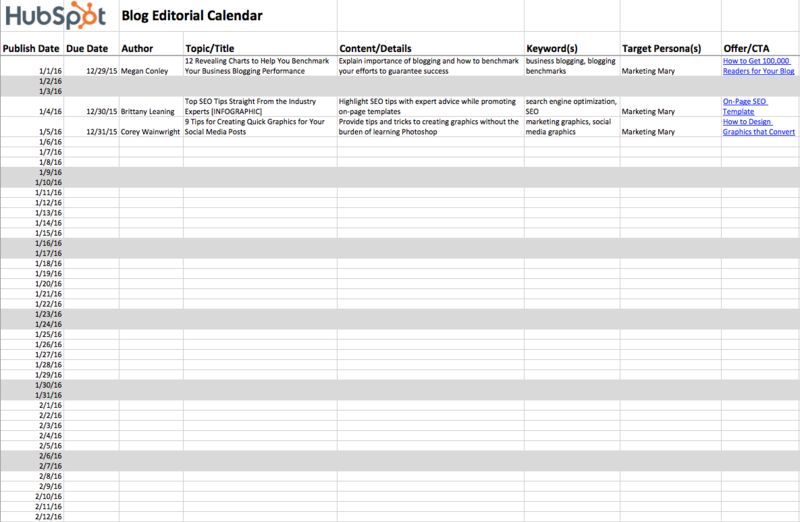 An editorial calendar helps you keep your content on track and publish consistently. There are a number of free tools to make this easy. Google Calendars is one of the best tools for this that you’re probably already using! Swing by Hubspot also provides some ready-made templates for tracking your editorial calendar. According to a HubSpot study, companies that post 16 or more times a month get 4.5x more traffic than companies that only post four times or less a week. You probably already have a good sense of which content management system (CMS) you should use to publish your blog. WordPress is the most popular, powering 14.7% of the world’s top 100 websites. That’s why we made Podia so that it easily integrates with WordPress sites. You can get started with a free WordPress blog in less than five minutes. Another good, design-focused option is Squarespace. Squarespace is incredibly user-friendly, and allows you to get started right away with a beautiful, responsive website. Behind-the-scenes, it also includes a bunch of SEO focused features. As an added bonus, all Squarespace websites include the ability to launch a blog. Once you’ve settled on a CMS, it’s time to bring all the pieces together and start publishing content. Start by taking your keyword list and mining it for potential post ideas. Let keywords guide your content creation, but don’t stick them everywhere willy-nilly—that will antagonize readers and damage your SEO. Instead, fit them into your content and titles naturally. Remember, quality is the most important factor for building SEO and getting your content to rank. Here are a couple of tools that will help you ensure quality. Grammarly is a tool beloved by writers everywhere. 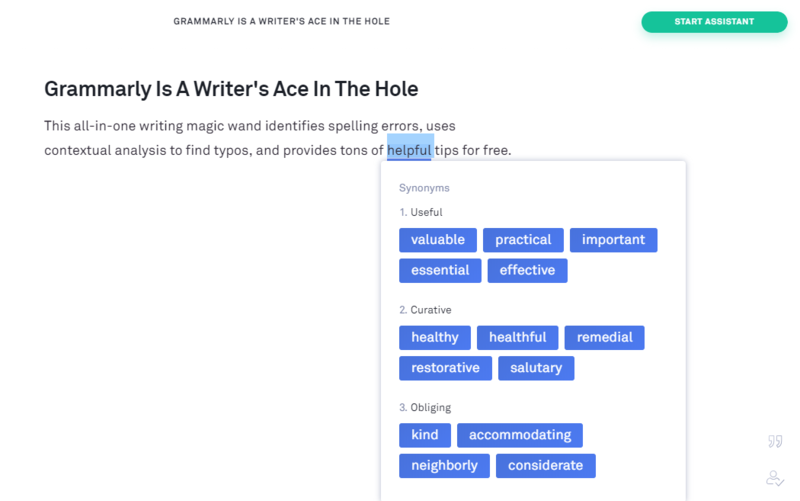 It automagically helps you find spelling and grammar errors, while providing you with tips to keep your content lean and to the point. Headlines make or break your content—a good headline is what gets users to click through to your website. CoSchedule’s free headline analyzer tool will help you write stronger, snappier headlines. Simply type in your headline, and the tool gives you suggestions for how to improve. Once you’ve started actually producing content, the next step is to get it out there in front of a bigger audience. The best way to do that is to build SEO by scoring more backlinks on your content. A backlink is a link that points back to your website. 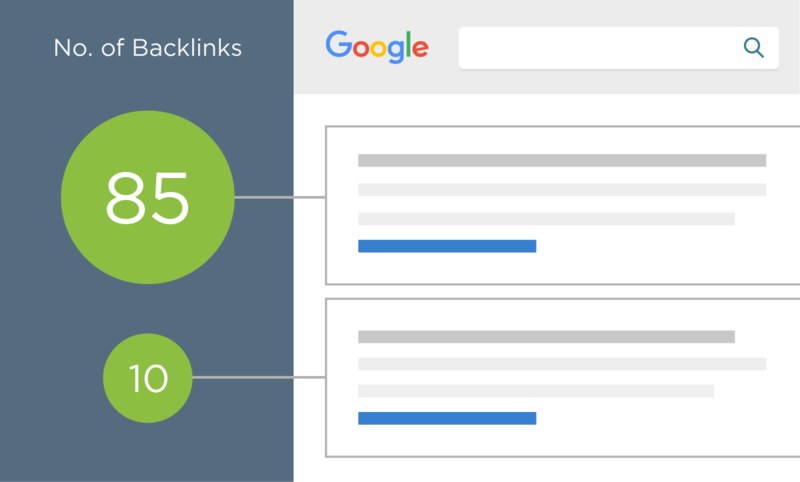 The more backlinks a piece of content has, the higher it will rank for SEO. Of course, it can be frustrating to sit around and wait for other people to link to your blog. That’s why guest posting is such a powerful and SEO-friendly way to distribute content. By posting on someone else’s blog, you can link back to and drive more traffic to your own website. Keysheet, an expert review site for cryptocurrencies, posted its articles in the subreddits dedicated to specific cryptocurrencies. As its articles got upvoted, it got exposure to a broader audience which started backlinking to Keysheet pages. That got Keysheet the first backlinks it needed to start driving thousands of views to its site per month. Buffer, one of the best-known tools for managing social media, grew big through writing content and generating backlinks through guest posts. Buffer co-founder Leo Widrich seeded over 150 blog posts on external blogs. By doing so, Buffer’s customer base grew from 0 to over 100,000 in less than a year. When you write a guest post on an external, high-quality website and link back to your own website, it gives a signal to Google that your content is also high-quality. If you’ve read this far—congratulations! You’re on your way to building a lead generation machine. Remember, though that while SEO is important you have to be creating content that’s actually valuable and useful to your visitors. Use free third-party tools to cover technical SEO, and make sure your site is SEO healthy. Do keyword research to guide content creation. 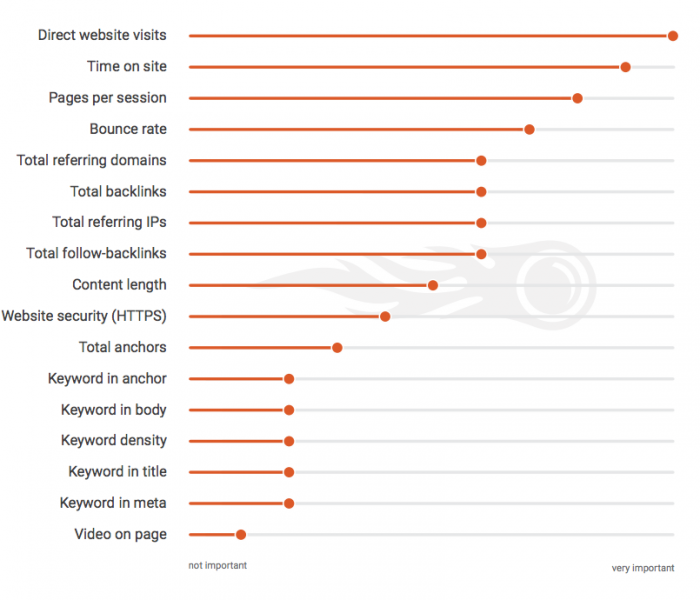 Focus on long-tail, low-difficulty keywords that you can rank for. 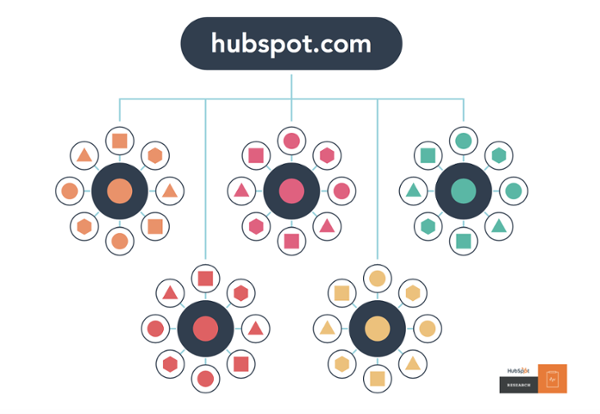 Follow HubSpot’s “topic cluster” model to rank better for specific topics rather than one-off, individual blog posts. Use an editorial calendar to help keep content creation on track and ensure you’re publishing at a steady cadence. Promote your blog and build backlinks through strategic guest posts and social media. These six steps will help you build SEO and monetize your blog. It will allow you to steadily and sustainably grow traffic and leads. This is a guest post from Len Markidan, CMO at Podia. Podia is an online platform that helps creators sell their online courses.